What as the issue? 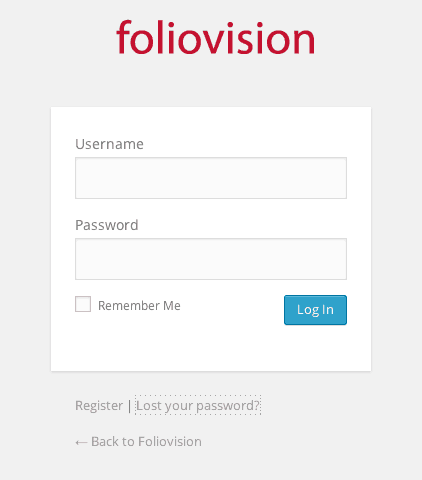 The link from "Lost your password" went to https://foliovision.com/wp-login.php?action=lostpassword and not https://foliovision.com/directory/wp-login.php?action=lostpassword where we needed it. This was a consequence of running WordPress Multisite in a subdirectory. As we are developers, we have a lot of other folders and files we want in public_html website root folder, besides WordPress which makes a right mess of public_html. We figured this out for 3.9.1 but now WordPress has made it impossible to update our multisite. This section is now deprecated and we recommend you read the February 20th, 2015 update below. Now all admin files including "Lost your password" are running correctly. With this fix, it's now possible to update our WordPress multisite install without making changes to wp-config.php each time for the update. 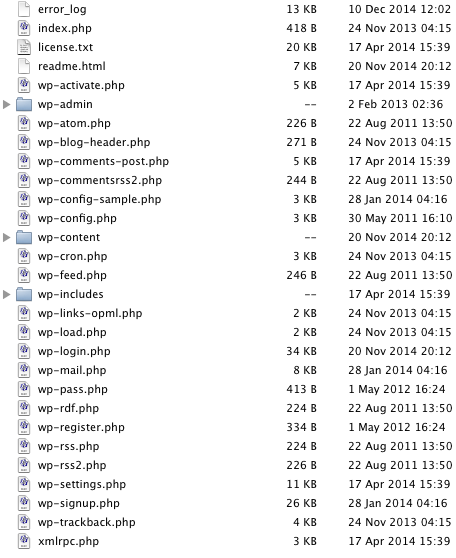 UPDATE February 20th, 2015: What was really broken when running WordPress Multisite in a directory? Previously we tracked down which function generates the bad output and came up with some quick code to fix it. Then we reported it to WordPress developers. We were given some instructions about how to run WordPress Multisite (which involved tweaking wp_options database table) in a directory which we followed. These instructions helped, but we thought - why can't this just work without hand tweaking the database settings? So we were about to report this as an issue and suggest improvements to WordPress.org Create A Network documentation and improving the install scripts to handle this automatically. But to be 100% sure we are on the right track, we setup up new WordPress, move it to a directory and then changed it to Multisite. The issue which we reported to WordPress developers didn't occurred. This forced us to have on more careful look at all of our plugins and everything. We found some tweaks in the theme functions.php file which were causing these issues. Note: functions.php is a popular place to drop in any quick fixes, same as wp-content/mu-plugins directory. You don't have to create a new plugin to put in your fix, but the downside is that you might forget about some of these tweaks. We removed these tweaks and now our site finally runs without any issues and no tweaks are needed. We noticed other issues or changes though, so read on! Our site has been switched to Multisite back in the days of WordPress 3.5. We were worried that if we move our WordPress out of the directory, we might break our bbPress forums integration, or other parts of the site. From previous experience we knew that WordPress Multisite can't be run in a directory. We were surprised that it worked, but thankful that it did. See the WordPress 3.5 release notes where it says: "you can now install MS in a sub-directory"
The release notes don't mention WP Multisite or WP MU but MS (MultiSite - result of merging WordPress MU and WordPress in WordPress 3.0). No wonder we haven't noticed this change. WordPress.org, you do a great job, we like WordPress and we like contributing by our plugins, but please don't use cryptic language in your Release notes! Then, after upgrading to 4.1 (or perhaps even 4.0) this code was no longer needed and it break things - caused our issues with the login window. If you do the above, you should find that your WordPress in a sub-folder works with Multisite perfectly fine. Multisite Files Rewrite (ms-files rewrite) was suddenly disabled, but there was no announcement about it. Before WordPress 3.5 the media files were stored in hideous wp-content/blogs.dir/blog_id/files/year/month/filename.jpg kind of folders which were rewritten to /files/year/month/filename.jpg URL structure. Suddenly this was disabled and changed to wp-content/uploads/site/blog_id/year/month/file-name.jpg kind of structure. Disabling this feature (ms-files rewrite) was decided here in ticket #19235 Turn ms-files.php off by default in WordPress bug tracking, mainly because of performance reasons, which are entirely valid (we always put in static rewrite into .htaccess for these files or use the NginX map module to get it done). This happened 2 years ago, but we only found out about it now. That's because this functionality was kept in the WordPress code (our sites didn't break - thankfully! ), it's just no longer an visible option. So we are only finding about it now that we installed some new WP Multisite-websites. WordPress.org, please put up some early warning if you decide to remove this functionality entirely. While it's great that this feature keeps working, we are worried about its future. The documentation is also pretty weak. You are given the choice between sub-domains and sub-directories, except when existing settings restrict your choice. ...and it also adds information when you are not presented with these options, click WordPress.org Before You Create a Network. That documentation is great, but there could be a warning directly on the Multisite install screen. 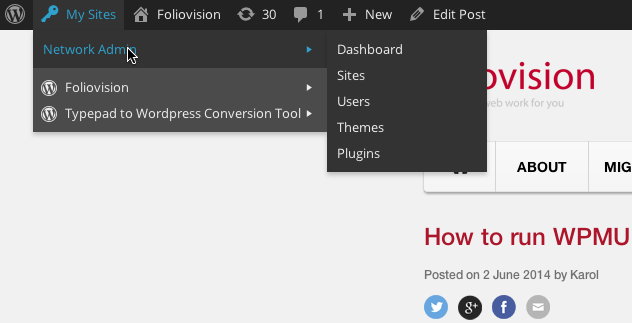 The most uncommon part was that we like to run our WordPress installs in a subdirectory (e.g. /wordpress/): we don't like the mess resulting from having WordPress files together with other files we have in the site's root. Everything went smoothly and everything ran as it was supposed to. Then we did an upgrade to the latest WP version. Nothing seemed to work as expected. After poking around and testing with a new install, we have found the points where things stopped to work. On nginx, the nginx config file has to be updated so that the network administration works. should be added in the right places, considering /wordpress is the subdirectory where your WP resides. For the above, I'll post an example of a simple nginx configuration file, considering my site is example.com and the WordPress directory is /wordpress. In this example, we're running php5-fpm with nginx. I hope this helps you if you run into problems setting up a WPMU in a subdirectory. I’ve been looking for a solution for this problem for a long time! Now my MU site works as it could. Looking forward to try out your solution. I have been searching far and wide for a long time to get some clarification on multisite setup with WP files in a subdirectory. I think your article here is the only one on WWW that addresses this issue and thus I guess that all other multisite installs has the core WordPress files installed in the root directory. With my install’s directory was what fixed the redirection for me. THANK YOU, your post helped me out very much, SO GLAD you posted it! Is this just for storing WP in a subdirectory and using the subdomain multisite or does this solve the issue between subdirectory WP and subdirectory multisites? we are using subdomains on our site, so I’m not 100% sure. It’s about creating a WordPress Multisite installation where the WordPress files reside in a sub-folder. During setup you should be presented with the option to pick sub-domain or sub-directory based WP Multisite, which refers to the domain structure of you multisite; subsite.domain.com or domain.com/subsite. Thank you very much – this post was super helpful to our dev team. It’s a pretty popular environment among WordPress developers, and it runs on nginx. I followed the tutorial to the tee — I installed a single site, then moved it to a subdirectory, and then enabled multisite. I could probably get around it temporarily by running a search/replace on “example.com/wp-admin” to “example.com/wordpress/wp-admin”, but I don’t think that’s a sustainable solution because every new site that gets added would then need to re-run the search//replace script. I tried updating wp-config define(‘PATH_TO_SITE’, ‘/’) to read define( ‘PATH_CURRENT_SITE’, ‘/wordpress/’ ) , but then I get a “Too many redirects” Error and can’t access the site. I’m far from a server expert. My question to you is how would you modify the default nginx file that VVV includes for all sites? we are currently only using NginX for serving of static files, so I’m not able to check this easily. It appears to me the “Rewrite multisite in a subdirectory” part of the NginX config should cover the /wordpress directory just fine. Many thanks for this. I’d been looking for an Nginx solution to this problem – and you’ve provided it.